The Mosaic urns are both beautiful and distinctive. 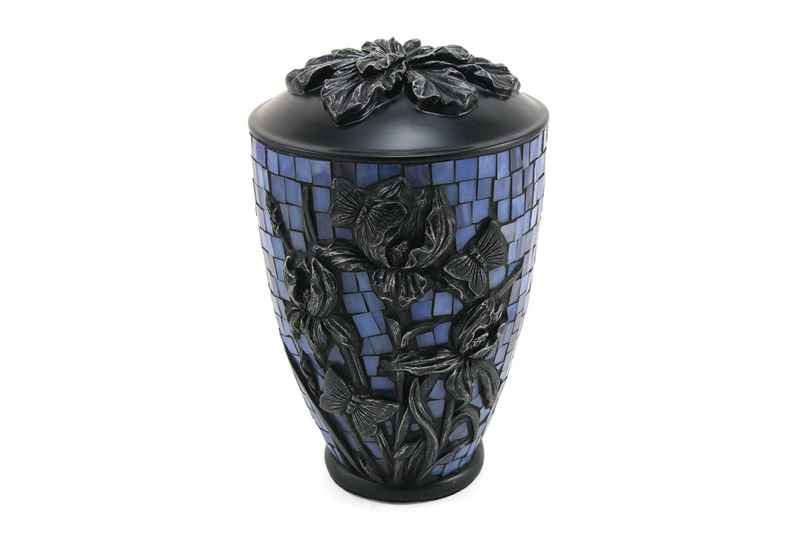 The urn is made of resin with raised flower detailing and features shades of either blue or red glass. 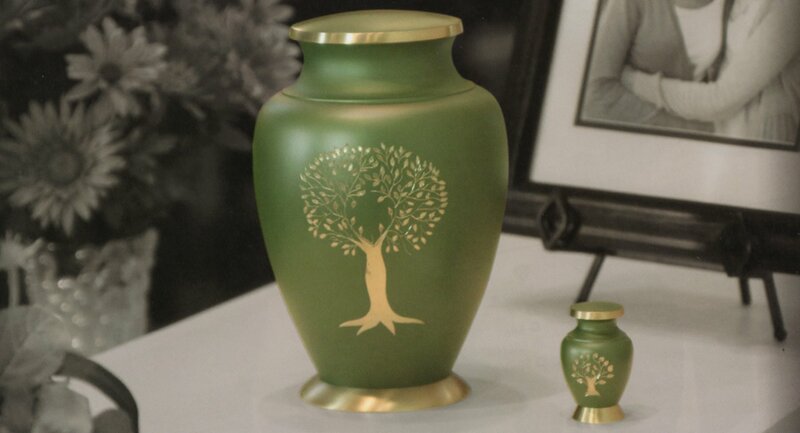 The urns and matching tealight keepsakes have a felt-lined bottom and threaded plug for secure closure. The tealights come with a glass insert and tealight candle.